For in-store inquiries, use sku #2302374. 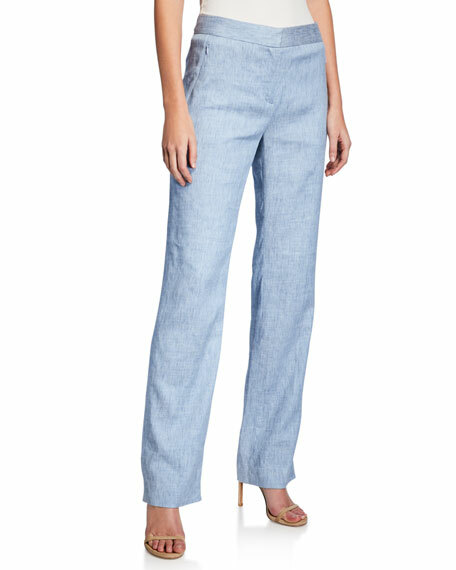 Elie Tahari "Eloisa" cropped pants. Side slip and back welt pockets. Flat front; zip closure. Relaxed, straight legs. Cropped above ankles. Triacetate/polyester. Polyester/spandex lining. Dry clean. Imported. Elie Tahari "Karis" grid-patterned pants. Banded waist. Slant hip pockets; back besom pockets. Straight legs. Ankle length. Side zip closure. Polyester/viscose/spandex. Imported. 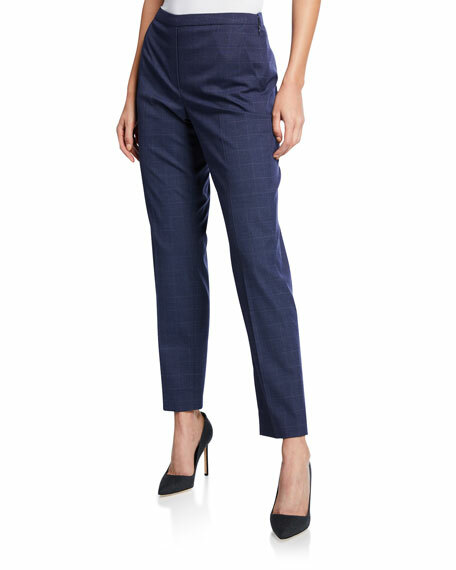 Elie Tahari "Leena" pants in solid stretch-crepe. Flat front; back welt pocket. Slim, straight legs. Hook/zip front. Triacetate/polyester. Polyester lining. Dry clean. Imported. 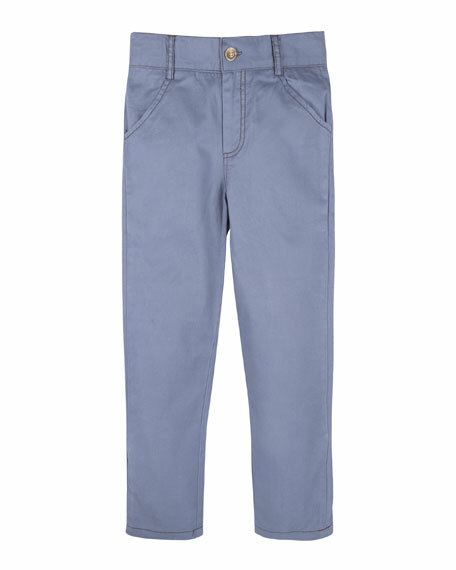 Elie Tahari "Leena" pants. Mid-rise; flat front. Side zip pockets. Back besom pockets. Straight legs. Full-length. Hook/zip fly. Viscose/linen/spandex. Dry clean. Imported.